Discussion in 'Lexus Lounge' started by CIF, Sep 9, 2015. 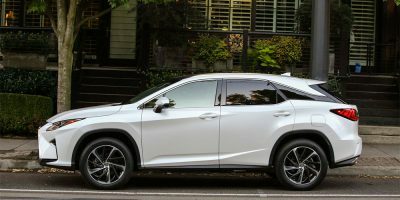 Lexus RX chief engineer Takayuki Katsuda explains that while there is considerable dealer demand for a seven-seat crossover, it won't be an RX with an extra row. I'm not saying that this is bad news, however, I know MANY people that were really hoping for a 3rd row to be made available. I am glad to hear the RX will remain a two row vehicle. There are plenty of minivans and large SUVs out there with 3 rows. There is a reason the RX is Lexus' biggest seller. It's the perfect vehicle for many people. Also, many of of these 3rd rows that are coming out are useless for anyone except a small child. Will Lexus build a RX to compete with the Tesla Model X? This answer was to be expected. No Lexus management member is allowed to discuss future product plans in detail, so it is quite normal that Katsuda-san doesn't reveal any 7 seater plans. However, if market request is real (and I believe it is - certainly if it comes from the brand's biggest market), then why shouldn't they plan a 7 seater SUV, based on the underpinnings of the RX? If the request from the U.S. is that strong, a 7 seater SUV should be closer to market than Katsuda-san pretends. But I am also convinced that the camouflaged RX test cars that were spotted recently in different media are 7 seater prototypes. Please god base it on a RWD architecture. Honestly, basing it on the next gen LS/GS platform might make sense...? I know it's not likely....... but please. I am still convinced the spotted mysterious RX is a mule for the three row crossover. Lexus doesn't understand the demand for a three row crossover and how well it'll help sales. They're losing sales because of it. Yeah if anything Lexus forces people into a GX or into the MDX or QX60. A 3 row RX will instantly hurt those vehicles. IS-SV, CIF and Brooks2IS like this. I think all this article means is that whenever a Lexus 3-row crossover appears, it's not going to be an RX variant, but a new model . I do wonder is there room for a 3rd row SUV in the Lexus line-up? We already have an NX now a new RX then GX then LX. I mean BMW only has the X5 for a third row. Audi just has the Q7. MB just has the GL. Lexus already has two models with a third row wouldn't a third just kind of be overkill? Just a thought. 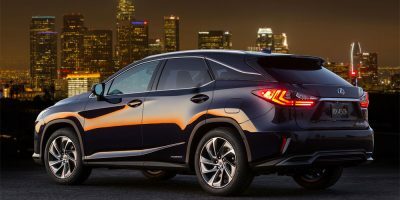 The ongoing saga of the Lexus three-row crossover continues in this new Edmunds interview with Lexus USA marketing manager Brian Bolain. TX would be an unwise choice, don't you think, considering the very similar Acura model name. RX-L sounds good if it's based on the RL chassis. It trades on the popularity of the RX and signals that it is a similar vehicle. Timing would suggest a new third-row model is still some distance in the future. Why is dealer demand so significant when Lexus already has the now stronger selling GX? Well, if you are going to worry about Lexus confusion with Acura's own alphabet soup, then why say that RX-L sounds good? It would be pretty close to Acura's RLX . The most likely answer to that is that the demand is for a 3rd-row crossover, unibody SUV. The GX is truck-based......and generally drives like it. Some brought up the interesting point of there being 5 SUVs. I don't know if Lexus can successfully support all those vehicles. As much as I like the GX and its place in the luxury market, if you're going to bring a 3 row crossover in, kill the GX or give it the nameplate of GX. The other option, is just offer the RX as an L model and stretch it out. You could keep the GX then. But I'm sure they've thought this all out already. Am i the only one not a fan of the name TX? I don't know why but it just doesn't work for me. I'm not really a fan of the name NX either but now I'm used to it so maybe I'd get used to TX as well. I just think that making a stretched RX (named RX350l - just an example) would make more sense. It would boost the RX sales even more.